Coming up with fun and original kid birthday party ideas can be difficult, so GameTruck Richmond has come up with a few tips to help you out. Video game parties can be an excellent opportunity to show off your creative side and experiment. Incorporate your kid’s favorite games into your party to make this personalized bash a hit. The smile on your guest’s faces will be worth the effort you put in to ensure everyone has a great time. Throwing a general video game party can be challenging to prepare for because it’s such a broad genre. Choosing a cohesive party theme gives you the opportunity to take some inspiration from the games to improve your party. For kids birthday parties Nintendo characters like Mario and Donkey Kong are always a popular option. Creative treats for your bash will push your party over the top. Instead of laying out pretzels and chips experiment with different twists on classic party foods to serve. Placing out some snacks in the shape of a character is a simple and eye-catching way to spice up a party. Amy’s Party Ideas does a great job of incorporating themes when it comes to treats. Decorations are the finishing touch that makes or breaks your party. Going all out on decorations can create a fun environment where everyone feels fully immersed in the gaming experience. If you want to throw a Mario themed party, place some piranha plants around and they’ll be sure to be a hit. Take the small features of a game and figure out a way to incorporate them into your party. Choosing a good selection of games is what turns a hangout into a full-on party. Online multiplayer games are not fun or engaging options in a group environment and can be a rookie mistake. 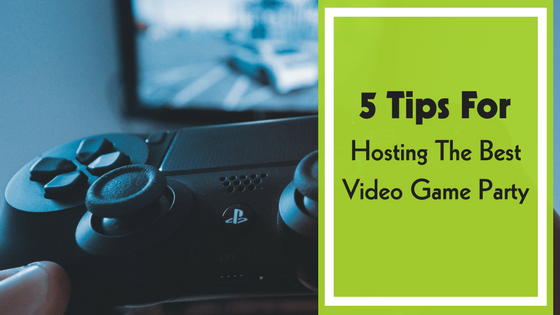 Instead, games like Minecraft or Mario Kart ensure everyone can have a great time gaming together. Go out and get some prizes ahead of the bash for the highest scoring players. Reward them with something fun and simple like an action figure of a crowd-favorite video game character. This extra treat will serve as an incentive to do well and motivate the group while competing to win! A party like this requires particular attention to details and a lot of preparation which can be time-consuming. GameTruck Richmond wants to help make your party planning a little bit easier so that you can have a blast too. Call us at (804) 938-1337 or visit us here to get started! We’ve got your back and will ensure your video game party is one to remember.